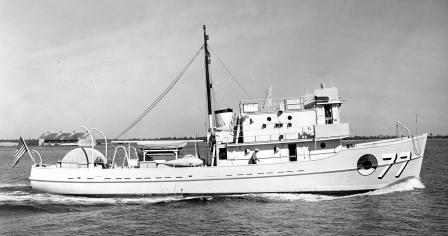 The Heroic was originally built in 1941 as the Accentor Class Coastal Minesweeper AMc-84. It was commissioned on March 25, 1942 and subsequently decommissioned on December 18, 1945. It was sold into private service and in use as a fishing vessel up until the time of it’s sinking. It is believed the Heroic sank due to a fire. The wreck is a small skeleton of a wooden wreck with a large Atlas diesel engine surrounded by ribs and bits of wreckage. A winch is located a short distance from the main wreckage. Although the wreck is small, it is home to abundant marine life typical of the sanctuary. In addition, this wreck has many small artifacts lying about to see. This is the first, and only, shipwreck considered to be historic (>50 years old) to have a mooring placed on it. 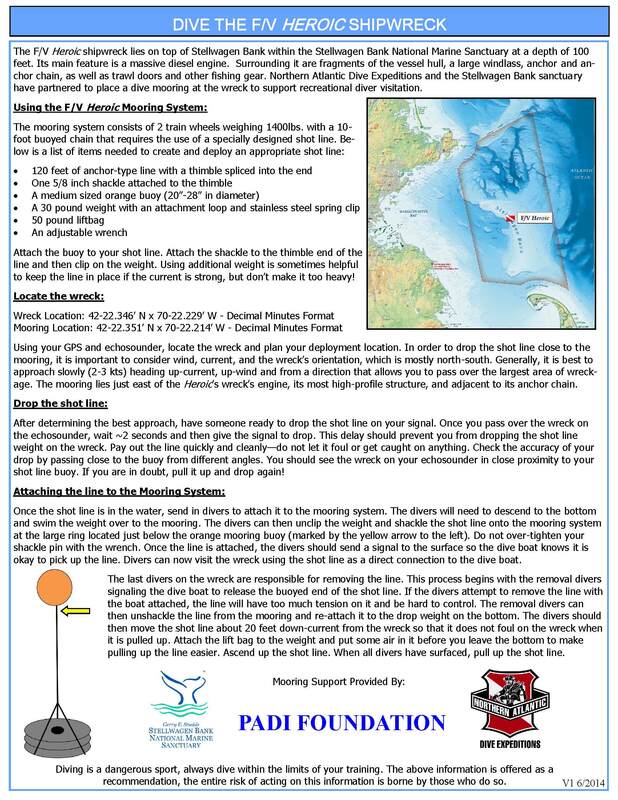 Instructions on how to utilize the mooring can be found here.